With the world turning upside down and Delhi becoming a gas chamber, I knew it was time. Time to run back to mountains. I had always heard from my elder cousins about the Grandeur of the Himalayas seen from Chandrashila top. And indeed I had a strong desire to visit the same. 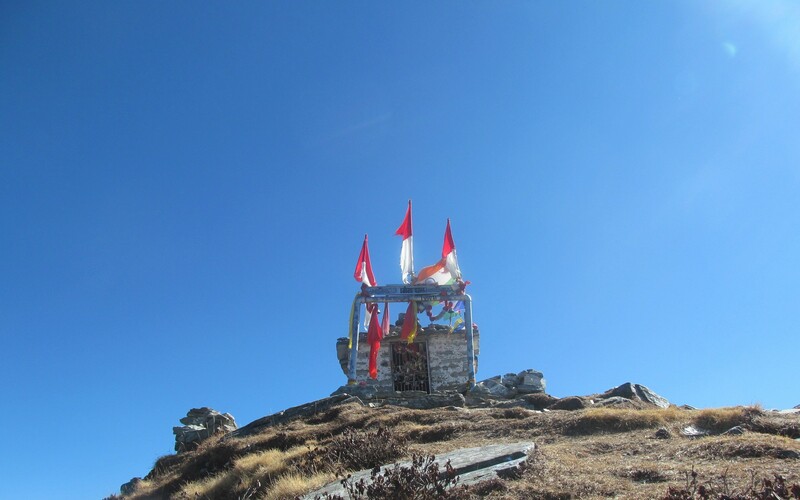 The Chopta-Chandrashila-Deoriatal circuit is usually done in 5 days but we had only three days to complete it. As an independent trek, we didn’t had a plan as such. 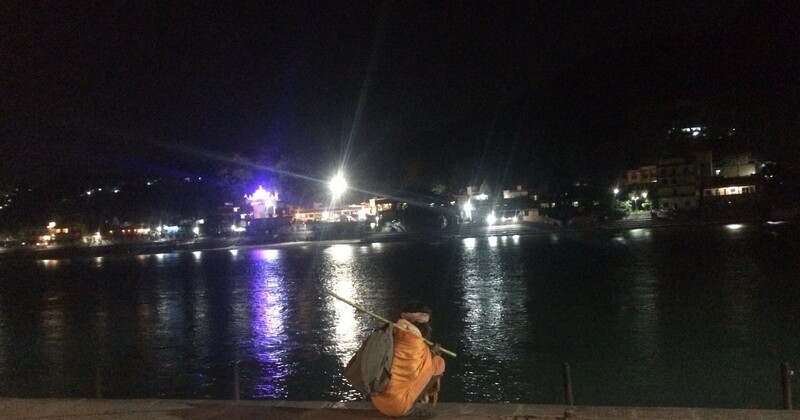 We had booked the tickets to Rishikesh 3 days prior to the trip, rest of the plan that followed was extemporaneous. Four of us decided to meet at Anand vihar Terminal from where we took the bus to Rishikesh. After a lot of ups and downs, we somehow managed to catch the bus at around 12 pm. It was a tough sleepless night from Delhi to Rishikesh and our bus was already late by 3 hours. 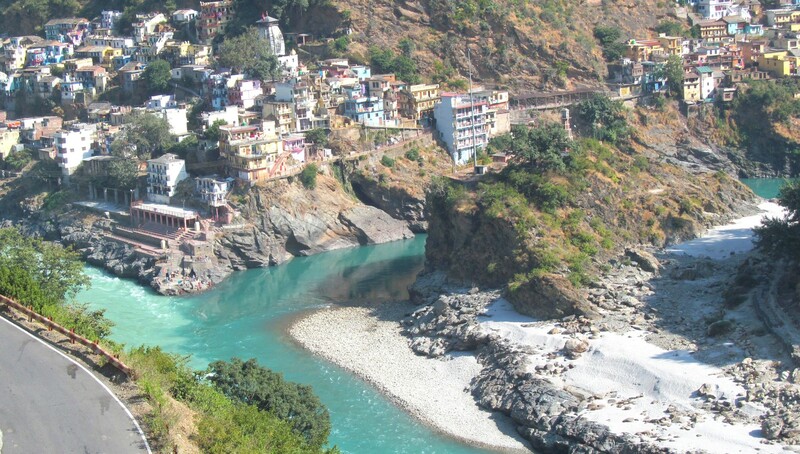 We reached Rishikesh and took a bus to Rudraprayag at 8 am. It was a small bus and took some time to fit in. 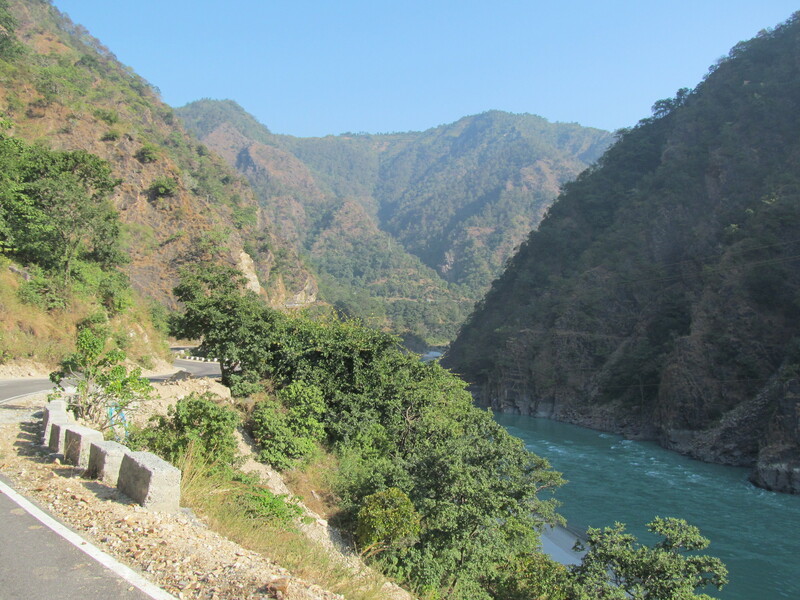 Crossing Srinagar, Devprayag and Agastasmuni we reached Rudraprayag. 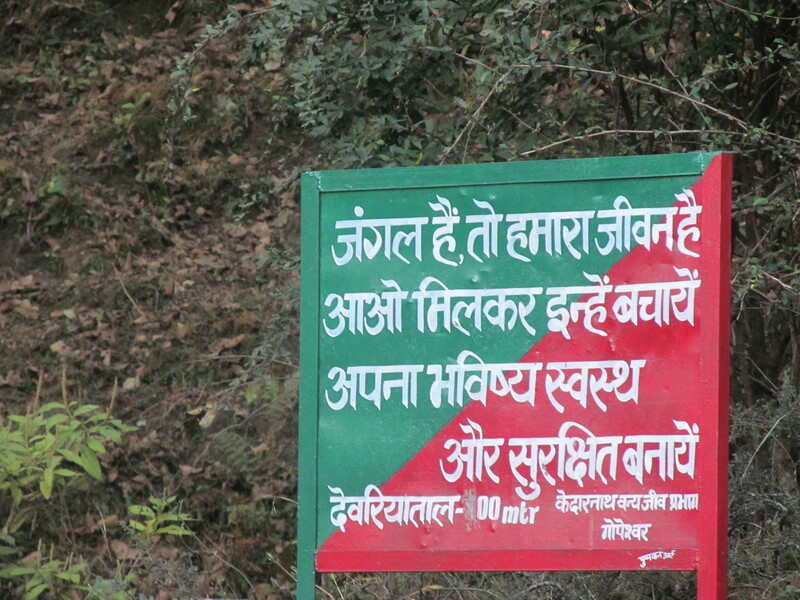 In Rudraprayag, we managed to find an ATM to collect cash for the rest of the trip. 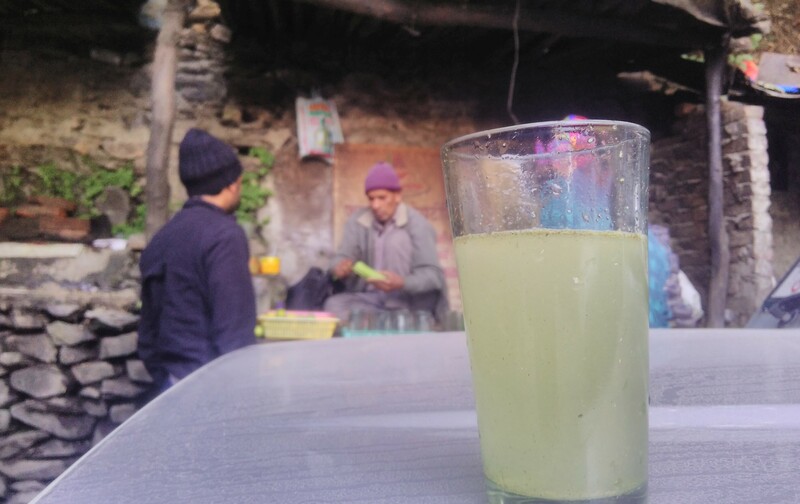 After a heavy breakfast, we took the bus for sari village which was the base for Deoriatal Trek. 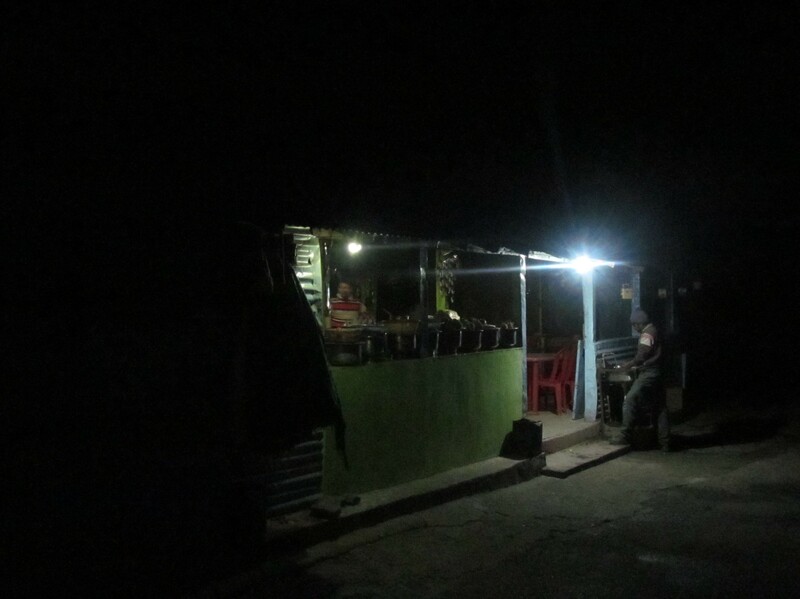 Meanwhile, we chatted with a local in the bus and found out that we were already very late and the trek should not be done in the night. After reaching Ukhimath we arranged a cab to Chopta. The driver told us all sorts of stories of the nearby areas. 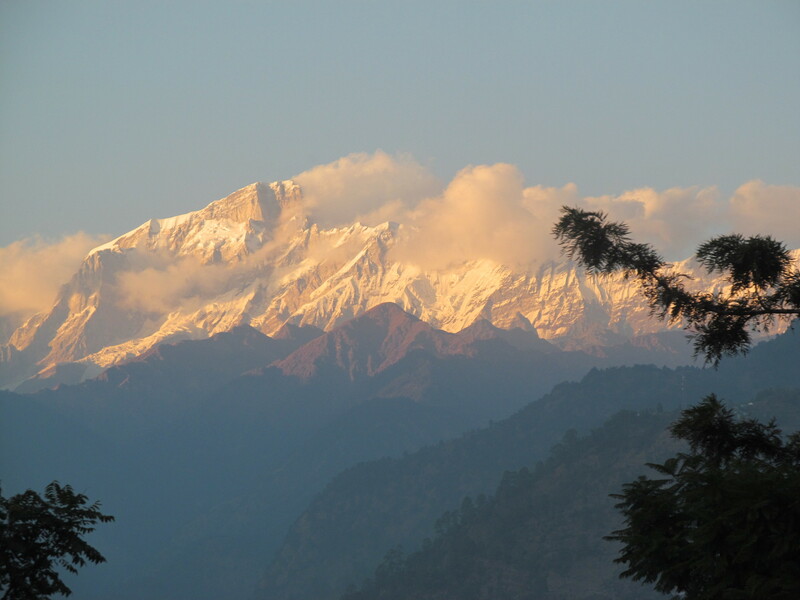 Chopta is called Mini Switzerland of India. After reaching Chopta we were too lazy to pitch the tent as it was very cold and dark outside (Also due to 21 hours of the bus-bus-bus-cab journey). We managed to get a well-furnished hut near the Dhabha. There were hardly two-three groups at that time at Chopta. 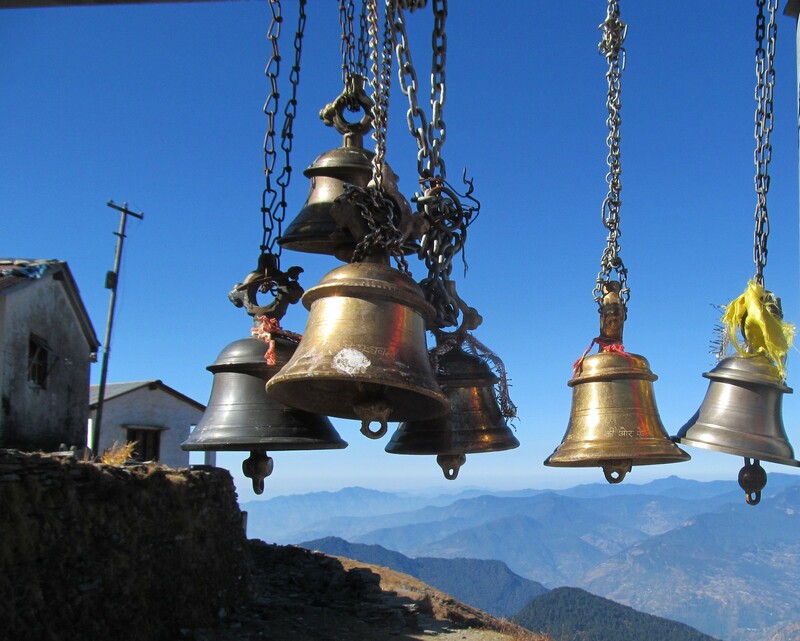 Since the Idol at Tungnath was back at Ukimath there was no hustle-bustle of pilgrims. 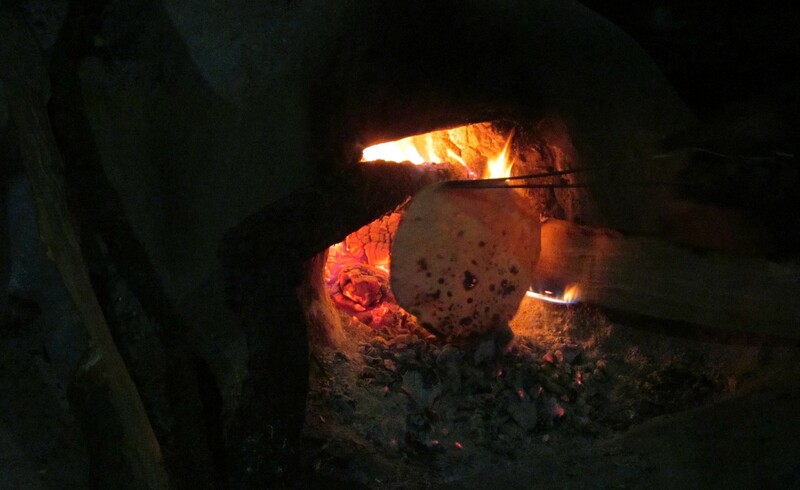 The cook at the Dhaba served us a delightful dinner. He also advised to start the trek after the sun comes up so as to avoid any sort of wild encounter. 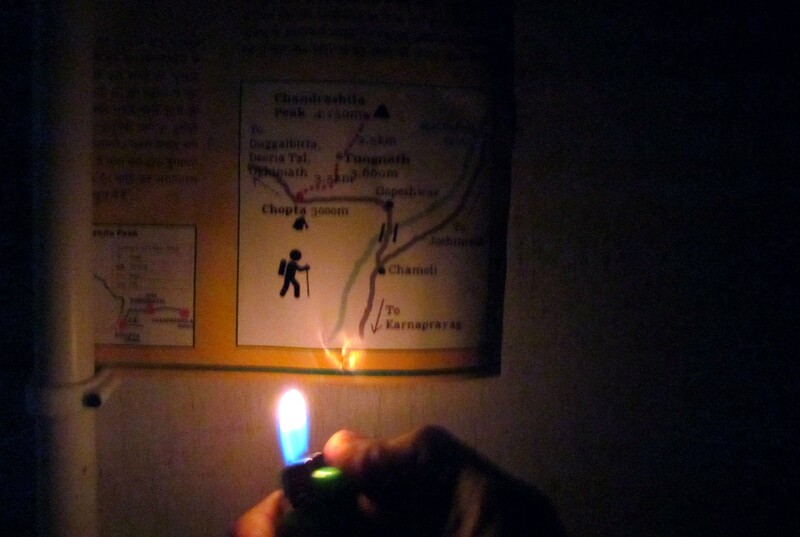 One weird thing about Chopta I found was that in the night, there was absolute silence. Neither chirping of crickets nor sound of any wild creature. We slept peacefully after sharing the most funniest life stories and other weird concepts (although a bit thoughtful). We woke up an hour late as it was too cosy inside the blanket and too cold outside. I Somehow gathered the courage to switch on the lights and everything else followed. We were on the track to Tungnath by 6.30 am. Since no shop was opened at that time we started with empty stomachs (which was probably a bad idea). However, munchies and peanuts came to the rescue. Somewhere we were able to see a rare sight of endangered female monal. 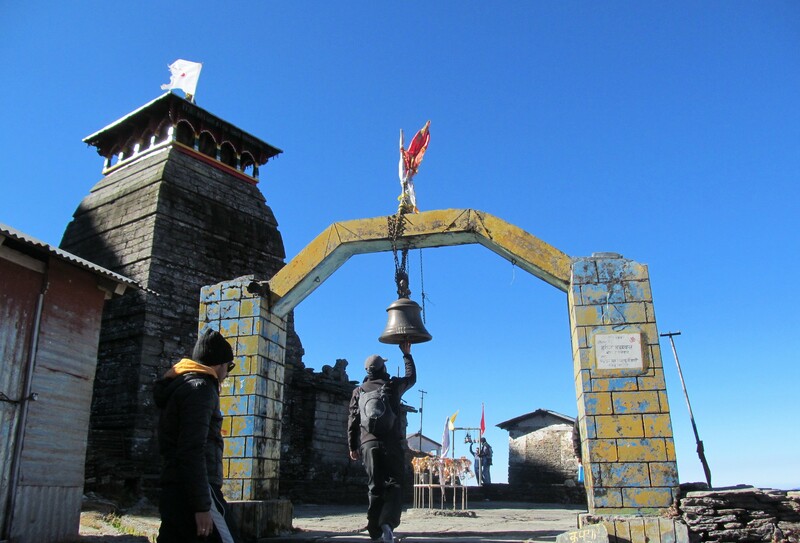 We reached Tungnath at 9.30 am. Small ice patches near the trail hinted that the temperature might have gone sub-zero after the sunset. The grand wall of Chaukhumba followed us with the trail. After resting near a cliff for a while we stated the steep 2 km climb to Chandrashila top. After 30 minutes of struggle, we finally summited. Had it been snowed it would be tougher. 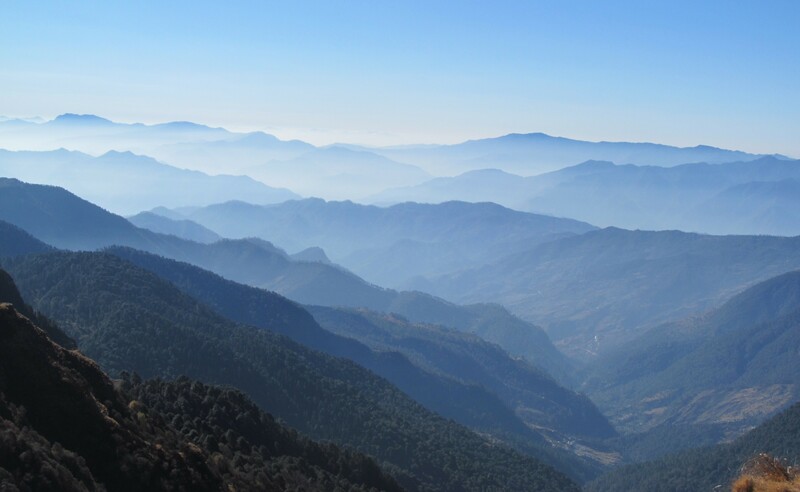 The view from the top was the best view of Indian Himalayas I have seen till date. 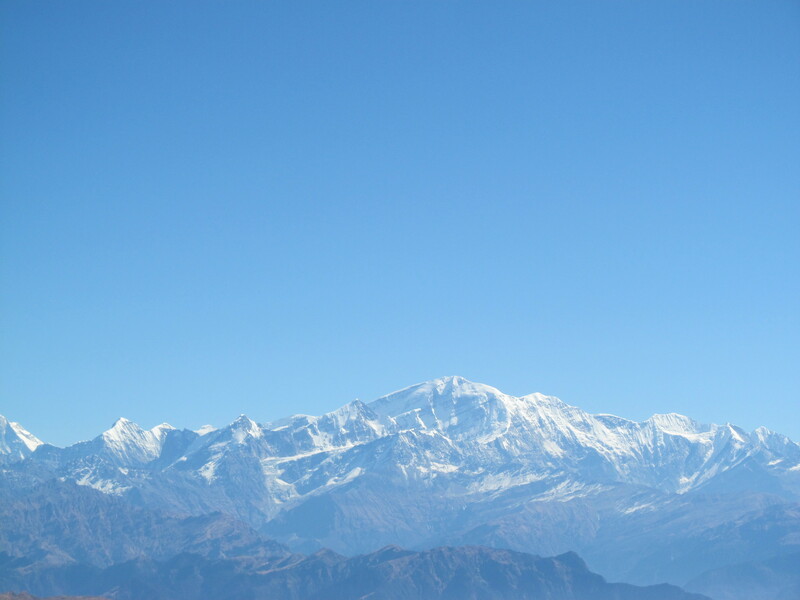 In front of us was breathtaking views of majestic peaks, from the left we were able to see Kedar Dome, Sumeru Parvat, Neelkanth and the Colossal Chaukhumba. 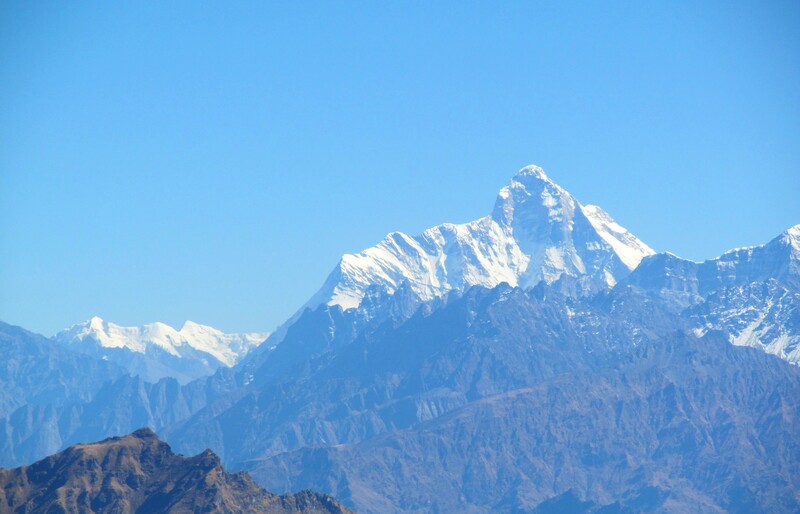 To our front were Dunagiri, Nunda Ghunghti, Magnificent Trishul and the mightiest Nanda Devi. 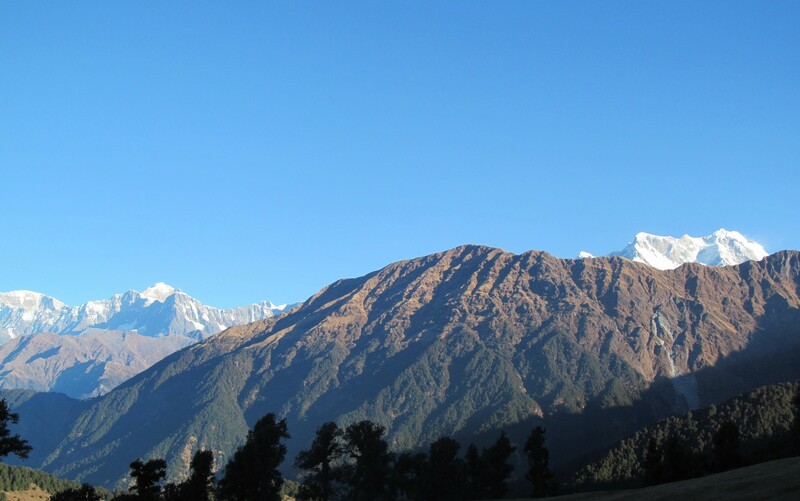 I had seen these mountains before in my roopkund trek except for Nanda Devi. 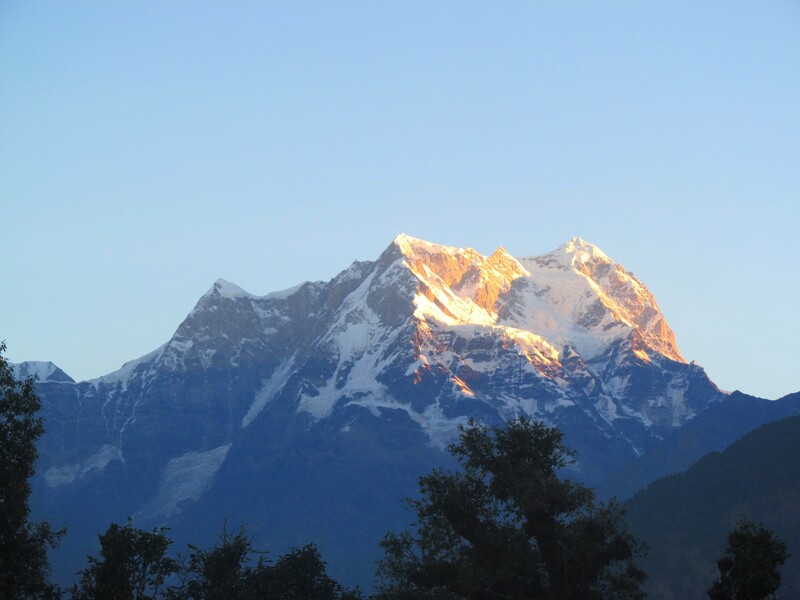 Nanda Devi is undoubtedly the most well formed and grand mountain in India. 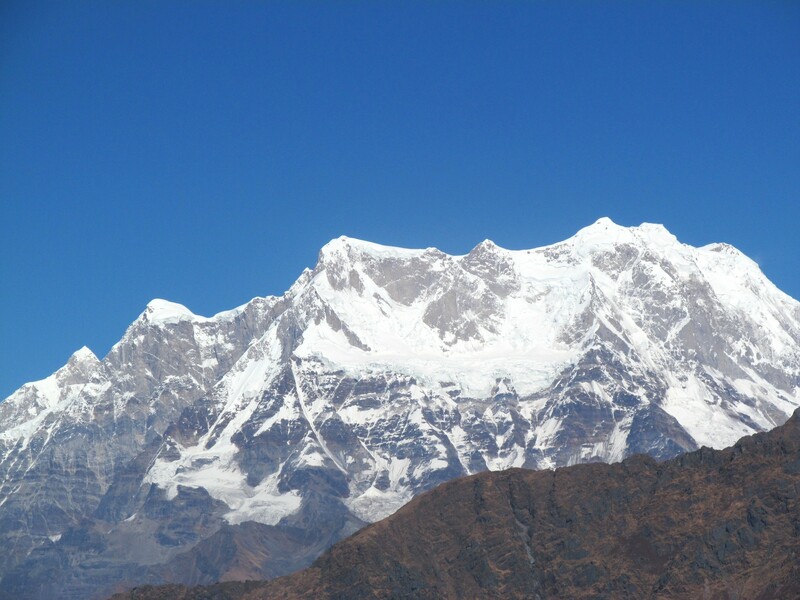 I later came to know that it is the tallest mountain that is completely in India(Kanchendzonga is partly in Nepal and partly in India). At Around 1pm we decided to ascend down. Near Tungnath we saw some trekkers returning back as there was no water source in the trail. We helped a few people with the little water that was left with us. We reached back and had a very heavy and tasty lunch. Later we called the old Cab guy and went to Sari village. From Chopta we were able to see Sari village . 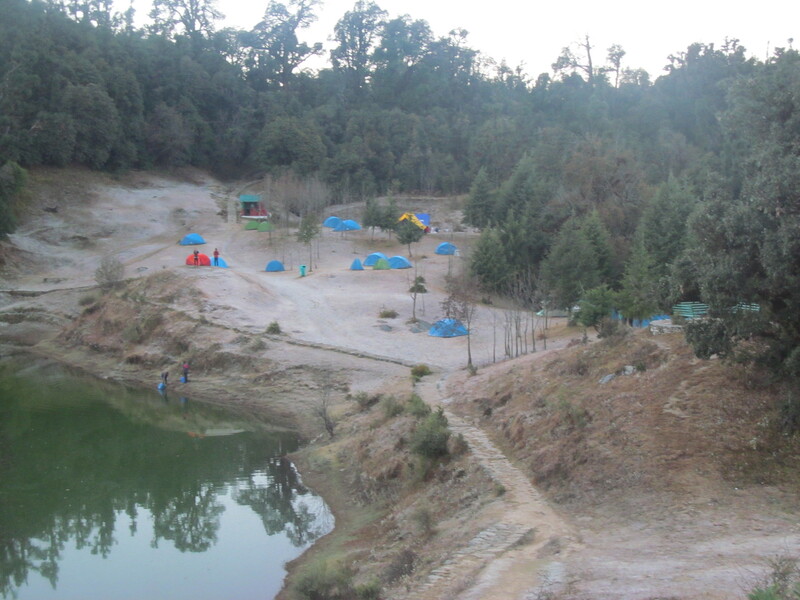 It is a one day trek from Chopta to Deoriatal crossing Rohini Bugyal. Here is where the cab saved our two days. Crossing 22 km and multiple hairpin bends we reached sari. The heavy lunch was making us sleepy. With sore legs and heavy backpacks we again started the trek. From Sari to Deoriatal is a steep climb of 3 kms. 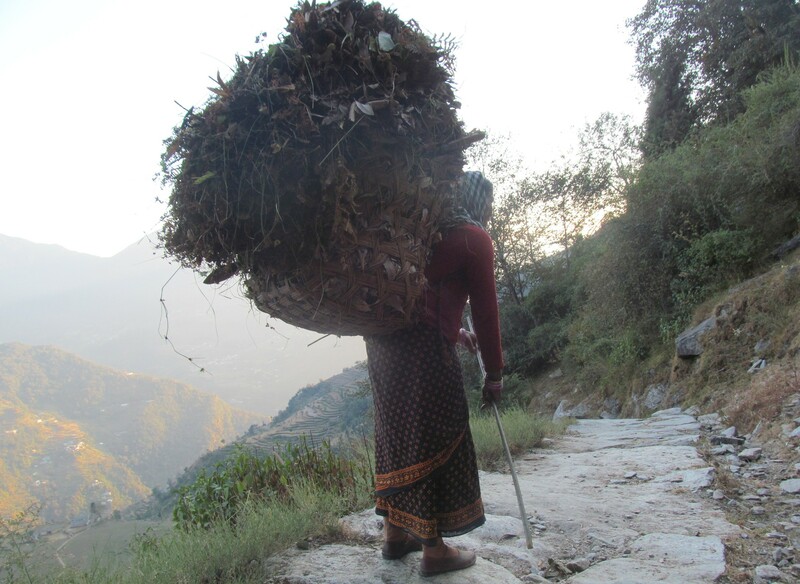 During our this short hike we met Padhai womens carrying twigs and leaves in a bag five times heavier than our bag packs. Reminding us how small our big problems are in life comparatively. Crossing a great variety of flora and fauna, the music of the wind passing through the leaves and whistling woods we reached Deoriatal just after sunset. Luckily we got an awesome site and we pitched our tents right in the front face of Chaukhumba. 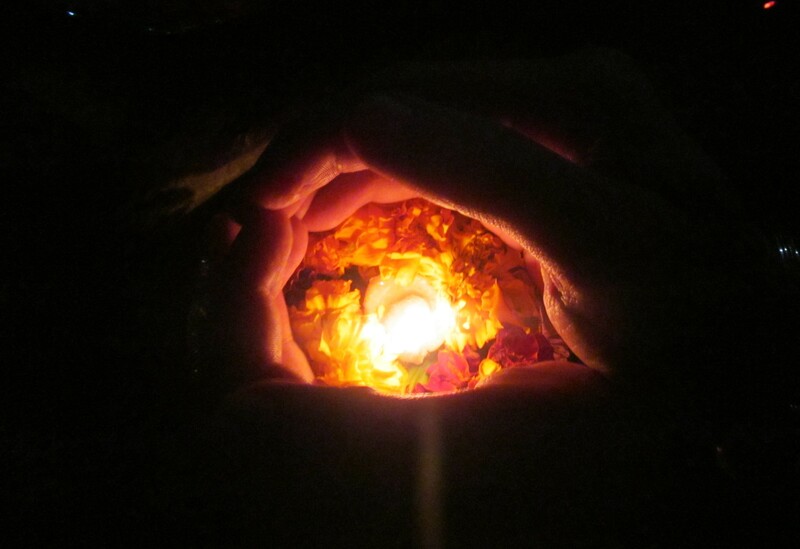 It was the day of the supermoon. 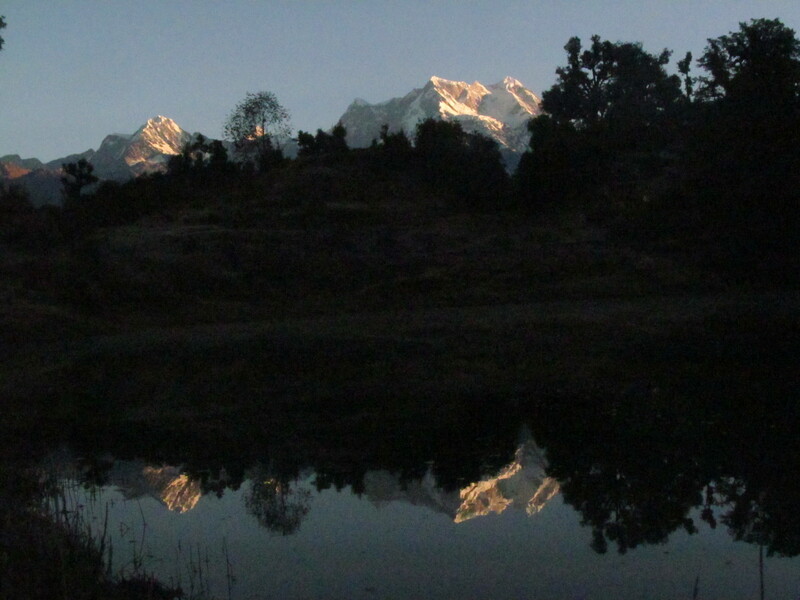 The serene reflection of both moon and mountain in the calm oval lake felt like a goodnight story. It was a very cold and long night. My 20c sleeping bag didn’t help with the cold. I woke up at 4am with chilly cold feets. When the sun came up the face of Chaukhumba converted into a brilliant golden crown. 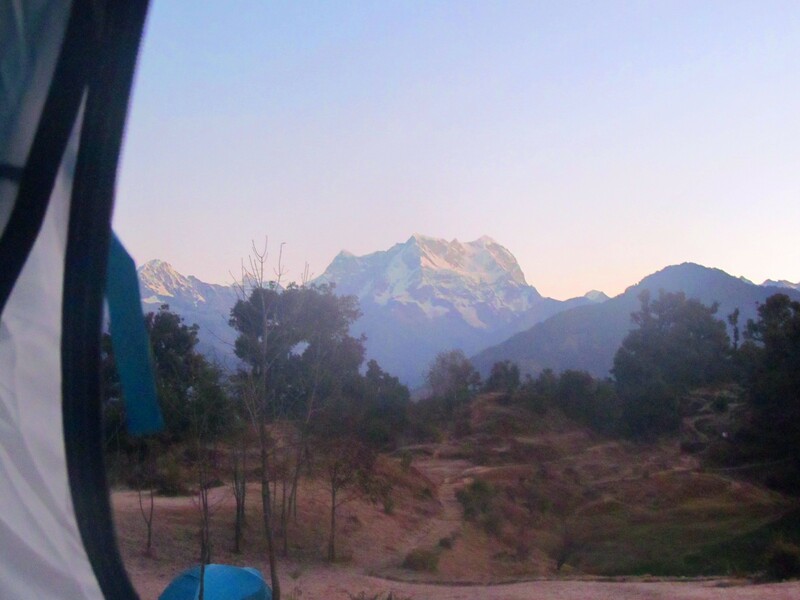 Since we had to reach Rishikesh early we had to repack the tents (It took 30 minutes). Since we were already late and had missed the morning bus to Ukhimath, we decided to have breakfast at deoriataal. At 8 am we reached Sari. Followed by 8-hour long journey back to rishikesh. We reached Rishikesh early at around 4pm. 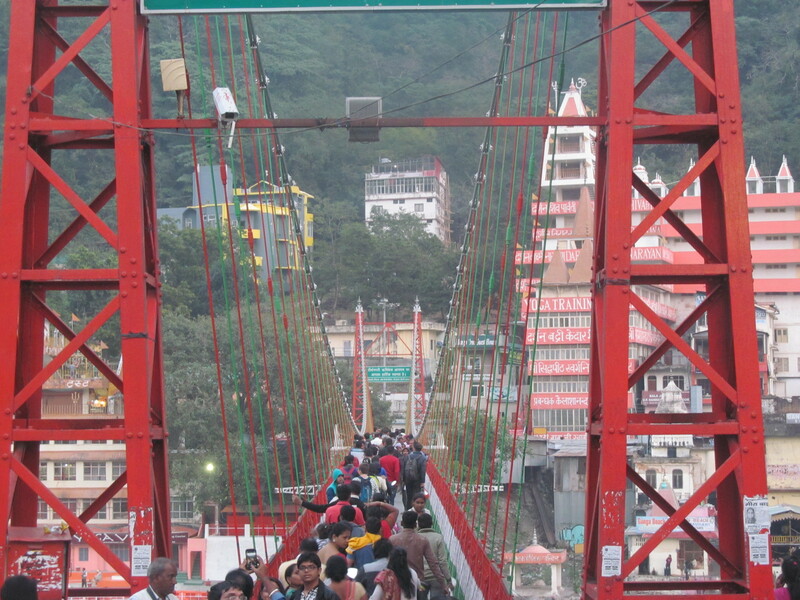 We had time to explore rishikesh, so we went to Lakshmanjhula and took a dip in Holy ganga just below Lakhsman Jhula. It was a beautiful and esctatic experience. After having a stumpous dinner at chotiwala we boarded our bus back to Delhi. Till now everthing was awesome, then our bus broke down. Somehow we got another bus to delhi but we were already late. We reached back delhi at 11 am. I slept back in my room since there was no way I could reach my Office. 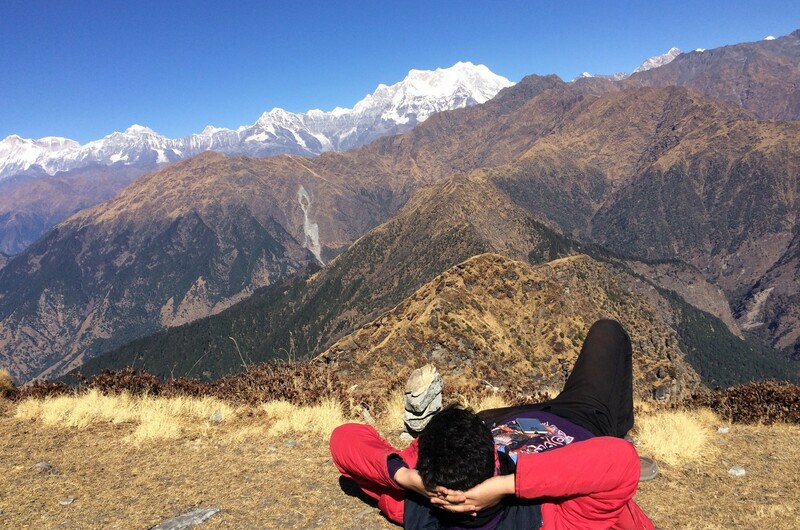 Deoriatal-Chandrashila trek is a too great reward for too little effort both in physical and financial terms.